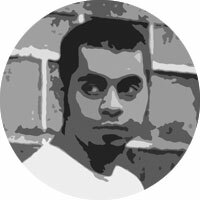 One of India’s most popular electronica acts, Delhi’s Jalebee Cartel has performed at every major club in the country as well as prestigious music festivals around the globe. 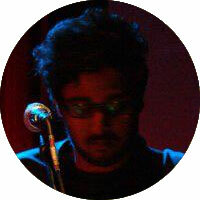 Percussionist and DJ Ash Roy will perform live at the Eristoff Wolves Den at the Bacardi NH7 Weekender. 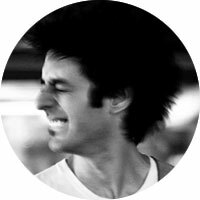 Dualist Inquiry is the solo project of 24-year-old guitarist and producer Sahej Bakshi. Rolling Stone magazine called Bakshi “Indian electronica’s rising star”, and his debut album Dualism has made waves around the country. 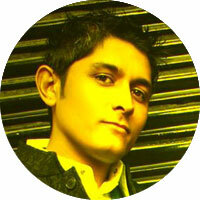 Midival Punditz is the brainchild of childhood friends Gaurav Raina and Tapan Raj. One of the pioneering forces of Indian electronica, the duo is renowned worldwide for their electric and innovative live performances. Formerly known as Medusa, Bombay’s Skyrabbit defines their sound as electronic/alternative. Along with numerous shows around the country, the band’s six-year stint together also includes performances at the Great Escape Festival in Brighton. 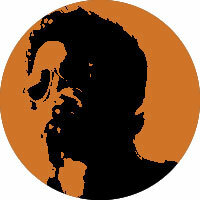 Ritesh D’Souza a.k.a. B.R.E.E.D. 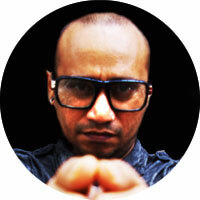 is perhaps more famous as his older avatar DJ Nasha, having won the Wold DMC Championship (India) in 1999 and 2000. 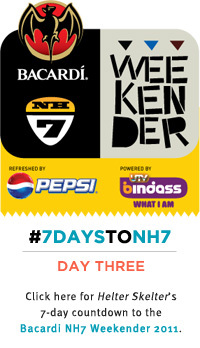 Expect an hourlong bass-heavy set from him at the Bacardi NH7 Weekender. This Mumbai-based DJ collective comprises Kris Correya (long-time resident of Zenzi), Sohail Arora (founder of KRUNK, an alternative booking agency) and Raffael Kably (sound engineer). The trio departs from generic club music to dabble in dubstep, drum ‘n’ bass, breakbeat, glitch, funk, and highly infectious baselines. 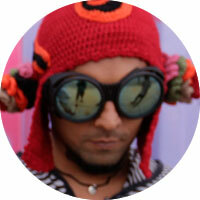 Formed in 2007, Shaa’ir + Func have become the poster children for electro-rock music in India. The duo, consisting of Monica Dogra and Randolph Correia, has had successful tours of the U.K. and the U.S.A, and toured extensively all over India. They have also released three albums in the four years that they’ve been together. 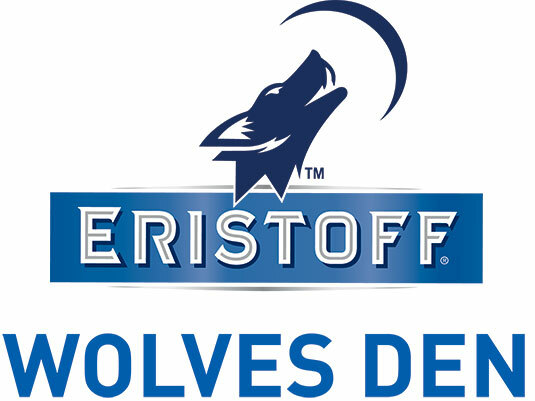 Check out the entire lineup of artists performing at the Eristoff Wolves Den at this location.